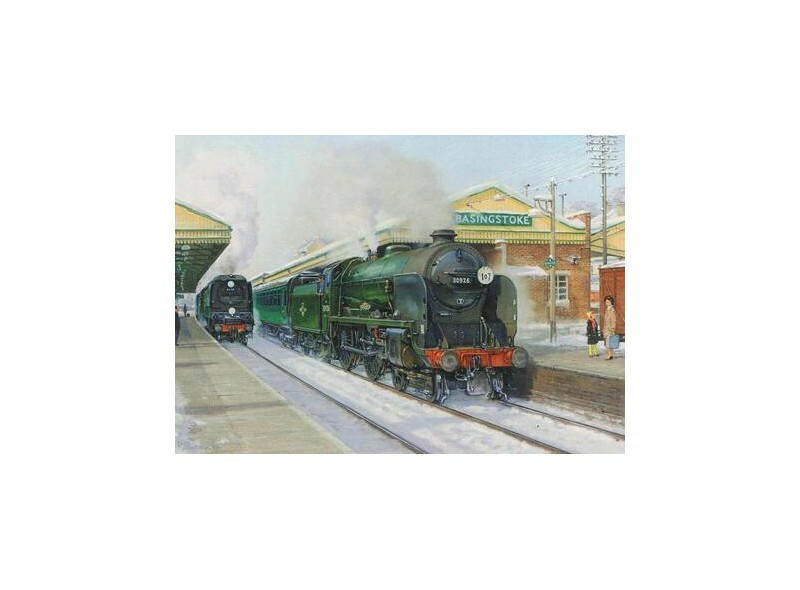 Repton (30926) is one of 40 schools class locomotives built by the Southern Railway at Eastleigh in 1930. The class were all named after English public schools. 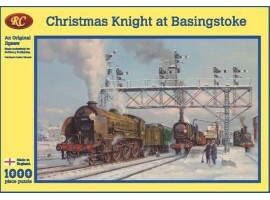 These powerful locomotives spent most of their working lives in the south east, before 10 of the class made their way to Bournemouth working the London expresses. 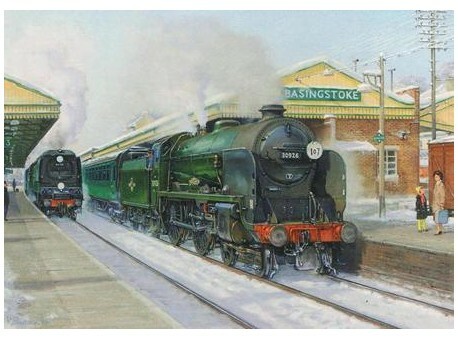 Repton was withdrawn in december 1963 from Basingstoke depot and it is at Basingstoke that Robin Pinnock has capture her during a snow fall in the late 1950's. After a thorough overhaul at Eastleigh she was shipped overseas to Steamtown Vermont and also loaned out to Cape Breton steam railway in Nova Scotia, after 23 years in exile it was repatriated and privately owned being steamed again in the UK in 1990 and can now be found on the North Yorkshire Moors Railway. The Print size is aprox.16 inches x 12 inches and is an open edition.